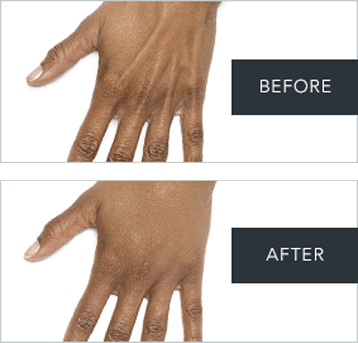 Radiesse® is a dermal filler made of tiny calcium-based microspheres enveloped in a water-based gel. The filler works immediately once it’s injected, using a small needle, under the skin. 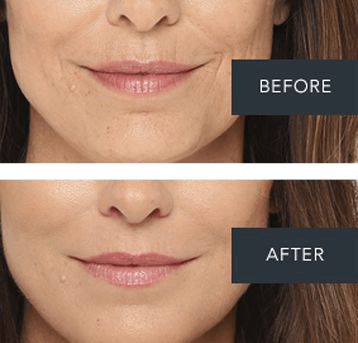 It temporarily adds volume to help smooth moderate to severe facial wrinkles and folds, such as nasolabial folds (the creases that extend from the corner of your nose to the corner of your mouth). Over time, the body absorbs the gel, leaving behind only your body’s natural collagen. Once injected, RADIESSE plumps the skin to give the appearance of a smoother surface. Over time, RADIESSE works to stimulate the body to produce collagen naturally. Ultimately the body absorbs the product and leaves behind the natural collagen for long-lasting results. How soon will I see results, How long will they last?